Here's a smallish Mook Jasper cab. Freeform cut with a nice polish. 26.5mm x 14.5mm x 6mm. Weight: 17.45 carats. Do you like Mook Jasper Cabochons? 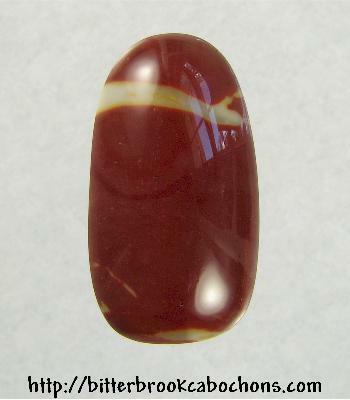 Click here to see all of the Mook Jasper Cabochons on the site!